Rog Van Liere, age 72 of Zeeland, passed away Monday, March 26, 2018 from a head injury sustained in a fall. 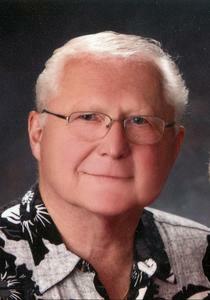 Rog was a lifelong resident of the Holland area. He had worked at Main Sport and Marine, was a Holland Police Officer and Detective for 33 years, served on the Holland Fish and Game Club Board of Directors for 52 years, and worked part time at Dykstra Funeral Home for over 20 years. Rog was a member of Christ Memorial Church for 29 years. He was a C 130 Crew Chief, in the United State Air Force, during the Vietnam War. Rog is survived by his loving wife, Cathie of 29 years; children, Matthew and Kathie Van Liere and Valerie Van Liere and Patrick Jackson; four loving grandchildren, Skyler, Kaden, Adyson, and Breya; sister, Dorothy and Bruce Bazan; brother, Don and Keli Van Liere; mother-in-law, Jackie Vogelzang; in-laws, Don and Cheryl Swierenga; nephews, nieces, and cousins. Funeral services will be 11 am Friday (March 30) at Christ Memorial Church, 595 Graafschap Road, with the Rev. Dr. Daniel Gillett officiating. Visitation will be 1-3 and 6-8 pm Thursday (March 29) at the Dykstra Funeral Home-Mulder Chapel, 188 West 32nd Street. Memorial contributions may be made to the Holland Fish and Game Club.